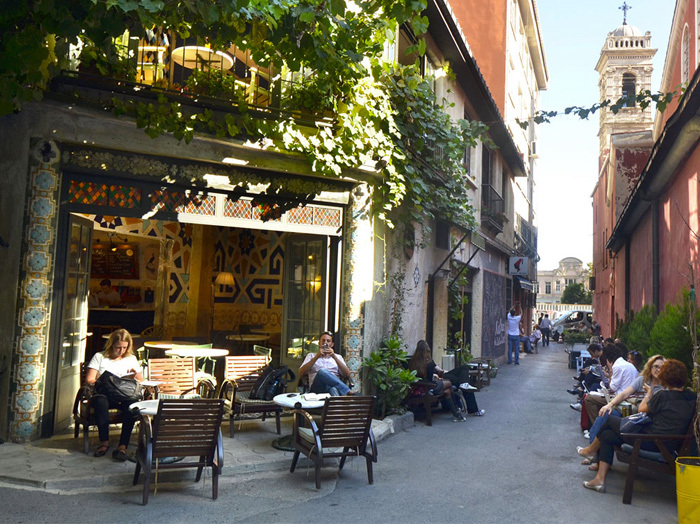 Karaköy, functions as a passage between Taksim and the Historical Peninsula. With its busy dock, the distirct is a way port for the ships in Istanbul. During the Ottoman Empire, Karakoy was located at the mouth of Golden Horn, down from Galata Tower and to the east of Azapkapı region. It was one of the centers for trade and sea transportation, rather than a settlement area as it is today. Today, the finance sector is also very involved in the region because of its busy port and active trading life, and the region is full of people. It is active throughout the day since it functions as a port for ferries traveling between the two sides, as well as for local and international passenger ships. When in Karaköy, you should go to the restaurants by the seaside and eat fish or fried mussels. Do not forget to taste the baklava of the famous Gulluoglu right behind the Rıhtım Street! This two-floored bridge is at the mouth of the Golden Horn, uniting Karaköy and Eminönü. The history of it dates back many years. First built in 1845, the bridge had to be rebuilt five more times over the centuries due to the fires and repairs. Today people are always fishing on the bridge and there are meyhanes, nargile /shisha cafes and beerhouses below. It is possible to have moments of pleasure on the Galata Bridge, accompanied with sunset and sea view.